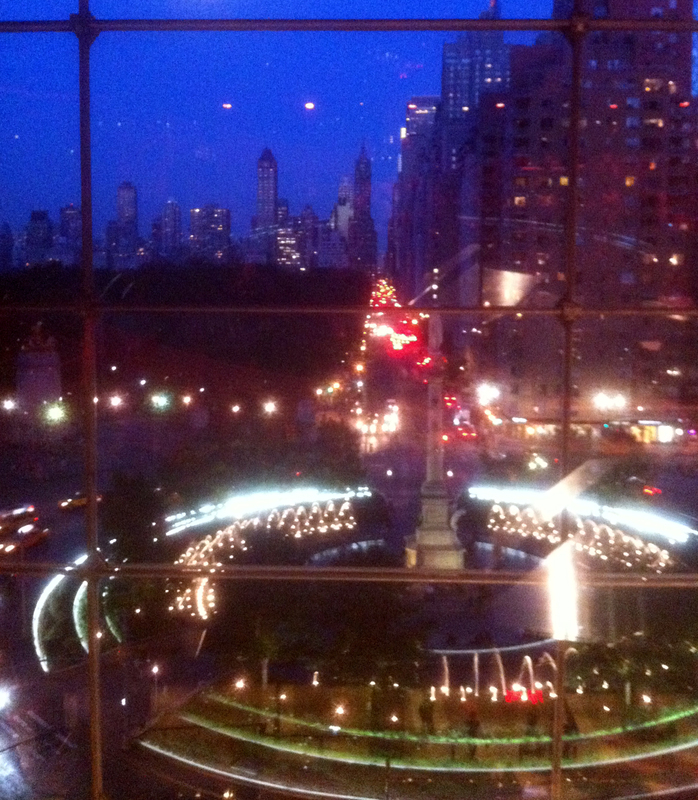 at the Allen Room, in Time Warner Center, overlooking Columbus Circle and 59th Street, as seen from the sky-high windows behind the Jazz band, with the evening fading into the nighttime skyline. What a great place to see a concert! 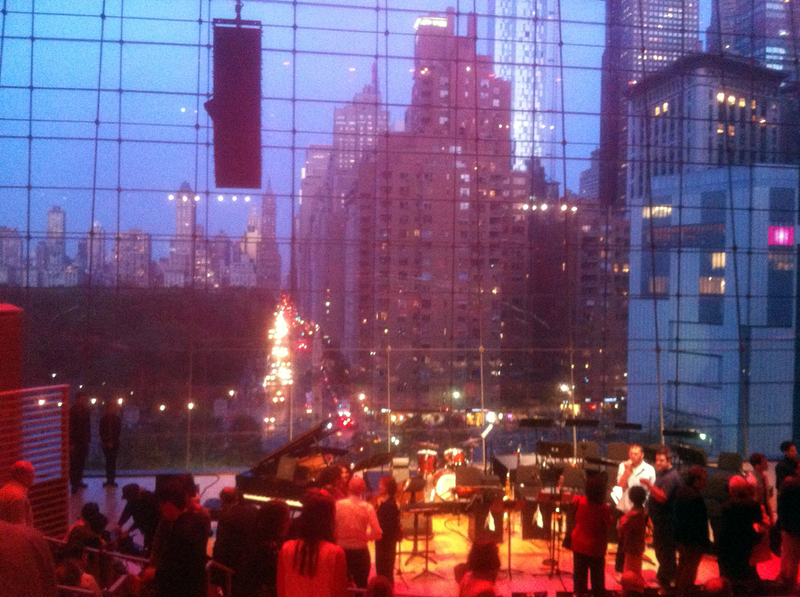 The program included heavyweights Phil Woods and Tony Kadleck as featured soloists in front of the New York Youth Symphony’s Jazz Orchestra, Director Matt Holman conducting. 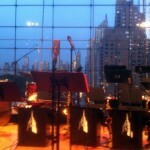 This is the Symphony’s 50th Anniversary Season, and the 11th season for the Jazz program. In his 81st season, Woods was still a force to be reckoned with. His sax has such warm, fat tone when he goes down low, but such a pure, reedy wail at the top. And he makes the thing bark or glide at will, and lilt and waver like the voice of an opera singer. I can get chills just thinking of his solo on the recording of Dr. Wu, but I am sure he would rather be remembered for the work he did with Dizzy, and Gil, and Monk, and his own European Rhythm Machine. But I never got to see those cats. So it was quite a thrill to be close enough to hear him slipping words of encouragement to his young collaborators while they raised the roof on the place. Tony Kadleck may not be as old as Woods but his own resume includes names like Sinatra and Streisand, Pizzarelli and Buddy Rich. His pure and shinning trumpet has also played for Steely Dan, but during their modern-era concerts. And man can he fly! Tony is actually a former member of this same orchestra. And as great as these big shots were during their second-act appearance, the younger crowd stayed right there with them. It won’t be long before many of them are playing for the biggest names, and making a name for themselves. The theme of the evening was compositions written in honor of specific individuals, and the first half of the program, which focused entirely on the band members and some recent alum, included standards such as Chloe, and Tangerine, as well as Count Basie’s Shorty George, written in 1938 for Shorty George Snowden, who popularized the Lindy Hop and is credited with coming up with the dance’s name. Man, dem kids can blow! A row of sax, a row of bones and a row of trumpets, each expertly played, along with a righteous rhythm section of drums, bass, guitar, and a grand Steinway to boot. 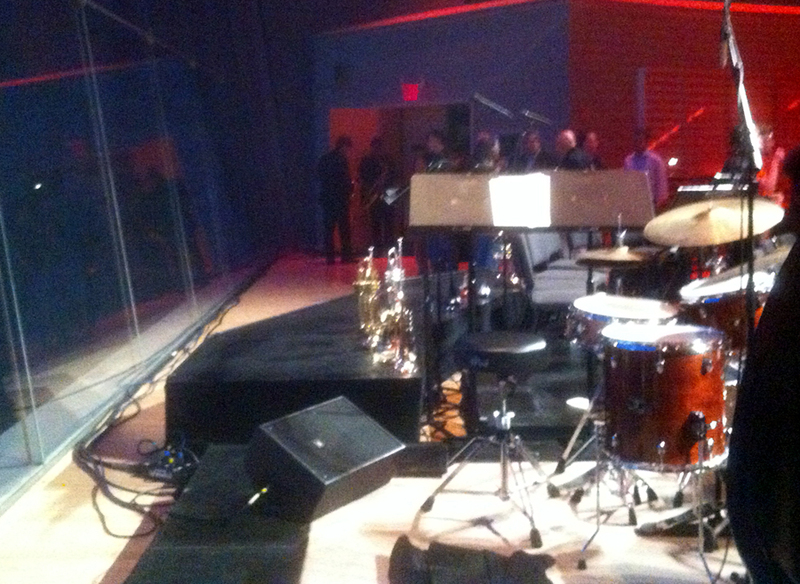 Better than a well-oiled machine, the ensemble was a living, breathing organism, with the brain at the conductor’s music stand, and the heart behind the drum kit pumping out the pulse to every limb. Throughout, it was hard to believe that you can’t even be in this band if you are older than 22 years of age. This more the case when someone took a break and let fly with a solo. Each selection had at least three different soloists. Some took off in a classic Jazz vein, some jived and bopped, and others dove off the deep end into free form space. Mostly, they just rose from their seat, but in some cases they came down front and center as a featured soloist. This was always an extra treat for me, as I sat front row center, directly in front of the soloist microphone. Special mention should be made of the killer rendition of Annie Laurie, the melody of which Lady Scott wrote in the 1830s to go with the Scots poem from the 1730s. But this jumpin’ take on it was the arrangement Cy Oliver did for Jimmie Lunceford’s band in the 1930s. Aye, i’haes a bonnie groove and would’a brang a wee tear to the winkers of the auld bard down Dumfries and Galloway! But the most memorable piece was the world premiere of Rustic Elegance, by Christopher Zuar, inspired by his time spent as artist-in-residence, out in the big sky environs of Saratoga, Wyoming. It had perhaps the most interesting use of the guitar, bass and piano working as a unit, which sort of added the insects in the grass as the winds blew, literally from the chorus of unvoiced horns, before they touched tone and rose, first to a lovely breeze, and then whipped and wailed themselves into an exhilarating zephyr. They blew the first half out on a very high note. The second half took things to yet another level. Phil Woods led the way for the guest artists, and was soon joined by Mr. Kadleck, along with other more recent band alum, Benny Benack on Trumpet, Luke Celenza on piano, Michael Dease on trombone, and also on trombone, Ryan Kebrele, who is the band’s former Jazz Director, and whose credits include Broadway, Hollywood and Saturday Night Live. The band blasted their way through three of Phil Woods fine compositions, Banja Luka (1988), Before I Left (1977), and Au Revoire Monseur Poivre (2008). These were followed up by the contemplative Souvenir, by Benny Carter, and Johnny Mandel’s Here’s to Avey, arranged by Mr. Wood into a barnburner for him and band. 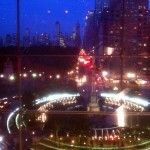 I gotta tell ya, you would be hard pressed to find another $20 ticket in New York City that would leave you so thoroughly satisfied and exhilarated. 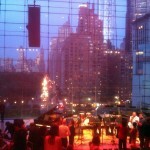 The Youth Symphony and their Jazz band offer performances throughout the year, I cannot recommend them highly enough. I must confess a little disappointment at there being no sign of Woods’ theme song, How’s Your Mama. But I am pleased to report they did it for the encore and spread the breaks all over the place. And of course, Director Matt Holman who laid down the tempos and cues throughout the night. 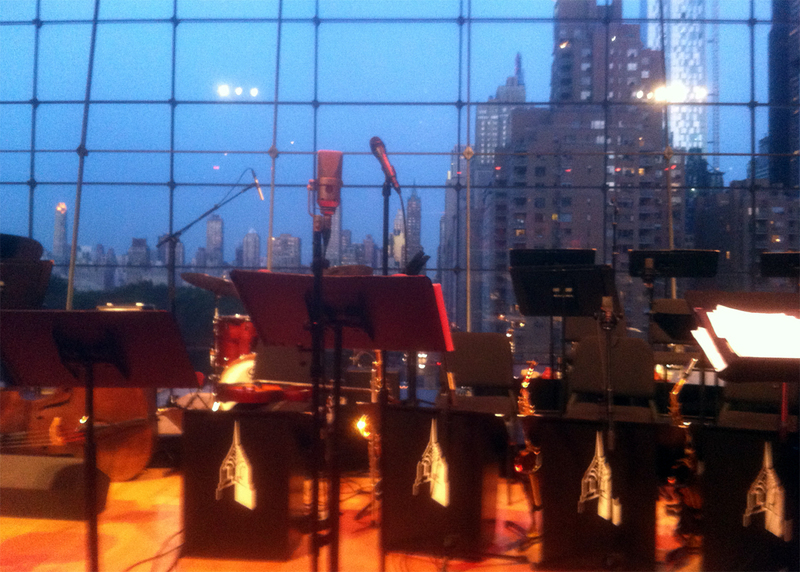 Jazz at Lincoln Center: NY Youth Symphony’s Jazz Orchestra with Phil Woods and Tony Kadleck. The NYYS Jazz program was selected to perform at the lunchtime “Jazz on the Plaza” at St. Peter’s Church at Lex and 53th Street, 12:30pm on Thursday May 23. It was, indeed, a terrific concert. Those youngsters were amazingly accomplished; one ensemble player in particular stood out for me. He didn’t get a solo, but the bass trombone player, Billy Hughes, cut right through with beautiful tone and remarkable presence. These young cats really know how to swing, and it’s so much fun to watch their leader, Matt Holman, swinging at the podium; his infectious joy in the music carries everyone along with him, not just the instrumentalists. Yes he did an excellent job, on tuba as well. Terrific indeed.